Back in the days before kids, I was a big candle fan. I used to love to light a candle at night when I watched television, read a book, or did work on the computer. Once the boys were born and mobile, I was too much of a nervous mom to light many. Over the last year, my desire to light a candle when I am knitting, reading or blogging when the kids are asleep has started back up again. Thanks to allergies, finding scents that do not make me sneeze is tough. Typically, I stick to things that are based on foods and stay away from floral/perfume fragrances. When Family Review Network contacted me to be part of a review/giveaway for some Glade Holiday Candles from SC Johnson, I jumped at the opportunity. For the last few years, I have tried to get some of the holiday jars at stores, but they always sell out. I was curious to try the Scented Oil Candles to see how they worked. Glade® Scented Oil Candles contain a unique warming plate which melts the candle into a pool of scented oil wax, quickly releasing fragrance into the air to create a warm and relaxing atmosphere. When the oil is gone, the candle goes out, leaving no mess behind. Each candleholder is refillable with any Glade® Scented Oil Candles fragrance. Approximately 2–3 hours of burning time. Glade® Scented Oil Candles Tins are an attractive way to quickly fill any room with fragrance. Each candle tin is portable and unbreakable, so you can now enjoy Scented Oil Candles in any place you choose, from your living room to your bathroom and kitchen. Each tin is refillable with any Glade® Scented Oil Candles fragrance. Bayberry Spice – scent of fresh bayberries, a sprinkle of ginger and a hint of cinnamon. Homemade Gingerbread – fragrance of freshly bakes holiday gingerbread. Apple Cinnamon – scent of fresh mulled cider and warm apple pie. Hollyberry Wreath – scent of fresh pine and red berries. Peppermint Crush – candy cane-crisp scent of fresh holiday fun. French Vanilla – subtle, spicy fragrance of the vanilla bean. The Holiday Collection is available from October through December and can be found in the air care aisle of food and retail stores such as Target, Walmart, Rite Aid, CVS and many others. As I mentioned before, I am very sensitive to scents. I am very selective when I buy candles. For review, I was sent two of the Bayberry Spice tins to try. I will admit that I was worried that it would make me sneeze. Just in case, I went out and bought some refills of the Holiday French Vanilla to try. The directions for the tin are easy to follow and explain what to do. I really thought it was nice that a magnet "system" of sorts is on the candle and tin to make sure that the oil refill stays in place – very smart! 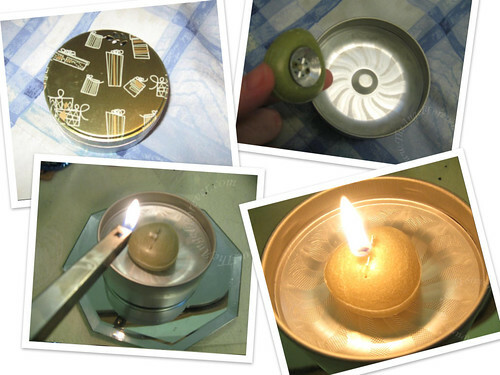 Below are some photos of the candle being used. I have to admit, I was pleasantly surprised with the Bayberry Spice scent. It was not too strong and did not over power my room. I lit it when watching some television and catching up on reading in my Google Reader. The candle lasted for about 2-3 hours (as indicated). One thing I noticed was how nice and evenly the oil burned, there was little wax/candle waste. After it cooled off, I was able to remove the end of the candle and wash the tin with some warm water and soap. I liked the ease of clean up and am anxious to try the French Vanilla scent that I purchased. Thanks to SC Johnson, one of my readers will receive one of the Glade Scented Oil Candle Tins. Please be aware that it could be any one of the scents available, so there is a mysterious element to this giveaway. MAIN RULE – Answer the following question: Which one of the holiday scents listed above interests you the most and why? 1 Bonus Entry – What scent would you love to see in the future if you could have a say? 1 Bonus Entry – Enter one of my other current giveaways. Be sure to leave a comment here telling me what you entered. 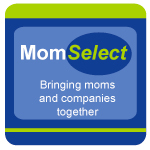 1 Bonus Entry – Tell me something special you have planned for this holiday season? To enter, please follow the rules above within the comment section. Contest starts today December 3rd and ends at 10:59 EST on December 10, 2009. You do not have to be a blogger to enter, but must leave a valid e-mail address for me to contact you for mailing address once the giveaway is over. I will select the winner using random.org and contact you via e-mail. You will have 48 hours to claim the prize. If there is no response, another winner will be selected. Open to U.S. residents only. Disclosure: This post was written as part of a program for Family Review Network and SC Johnson, who provided the product for review and giveaway. I was not compensated in any way except for the complimentary product. The opinions expressed in the review are my own feelings about product reviewed. Oh the gingerbread sounds so good. I think its a good mix between the normal holiday smells and food because of all the spices involved. Peppermint Crush sounds the most delicious to me. I would love to see them do a floral scent, like sweet peas or gardenias since I love those smells around my house during the holidays. This holiday season I am planning to do a wonderful dinner for some friends and am including my Mom’s blintz souffle recipe and my Dad’s latke recipe…YUM!!! 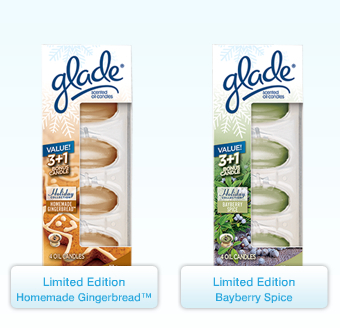 I would choose the gingerbread scent. I LOVE gingerbread cookies but don’t make them often! .-= Christina´s last blog ..My New Favorite Product & Giveaway: Scentsicles!!! =-. I love anything French Vanilla. That would be the scent I pick. we are giving our dd a guitar for christmas- that is our special thing! .-= tami aka agodlyhomemaker´s last blog ..my washer came and i am celebrating! =-. The apple cinnamon. I love the smell of apple pies at holiday time. Thanks! I would love to see a pine scent at the holiday time since I now have an artificial tree. Thanks! I have also entered the glow dome giveaway. Thanks! We went to winter wonderland at the local college. The kids had a great time. Thanks! The peppermint ones sounds yummy!!! I think it would give me a little pep since Minty always kind of wakes me up……….which I need desperately with a 4 yr old and 4 mo old! 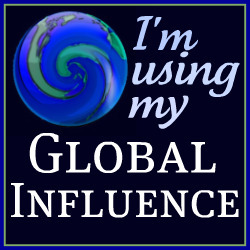 .-= Rachel´s last blog ..Guess What’s Coming Up =-. The Bayberry scent sounds good; it would put a holiday mood to the room. If I could pick a scent to create, it would probably be a sugar cookie scent, something sweeter than french vanilla. Our special holiday plans include having our extended family over for Christmas eve at our new house. I actually think I’d like the Bayberry spice one. I love candles with a hint of ginger. I think I would like the Apple Cinnamon. That scent always puts in the mood for the holidays! Thanks for the giveaway! The giveaway is now close. Thank you to all that entered. The winner will be receiving an e-mail shortly.